Kalamazoo College Dining Services strives to provide the most delicious, sustainable and nutritious food for our guests. 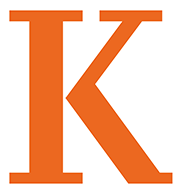 We are dedicated to being the most attentive, flexible, and responsive dining and hospitality provider to the students, faculty, staff and guests of the Kalamazoo College Community. Additionally, we promote experiential learning by providing opportunities to attend cooking classes and access to talk and to collaborate with our local food vendors and partners. We want our guests to have the opportunity to learn about where our food comes from, while experiencing a variety of enticing cuisines. Download the eatable app to get the daily menu!